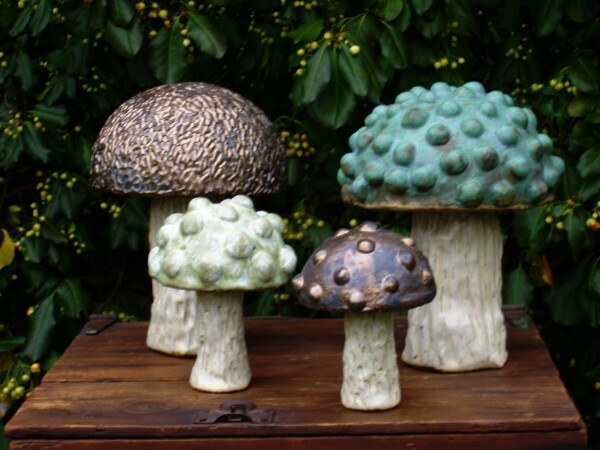 Two sizes of mushrooms – large at approximately 12 inches tall and small at approximately 8 inches tall – in various shapes, textures, and glazes. Eight different styles to choose from. For indoor or outdoor use. Can sit on a table top or can be staked into the ground – comes with 8 inch iron stake that you can cement in place. $95 for large, $55 for small.